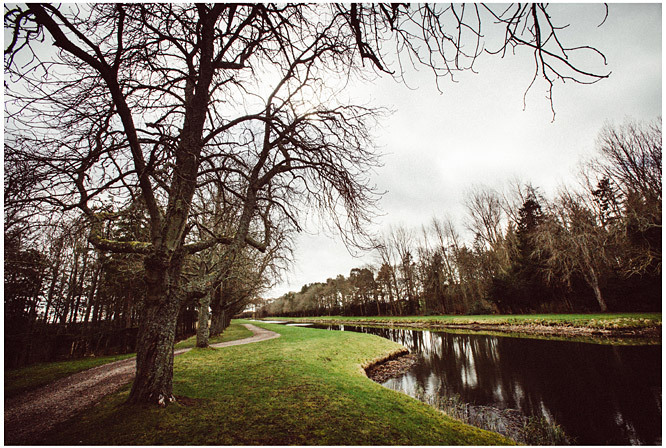 Gordonstoun School was the setting for last weekends wedding and what a fabulous venue for a wedding it is. 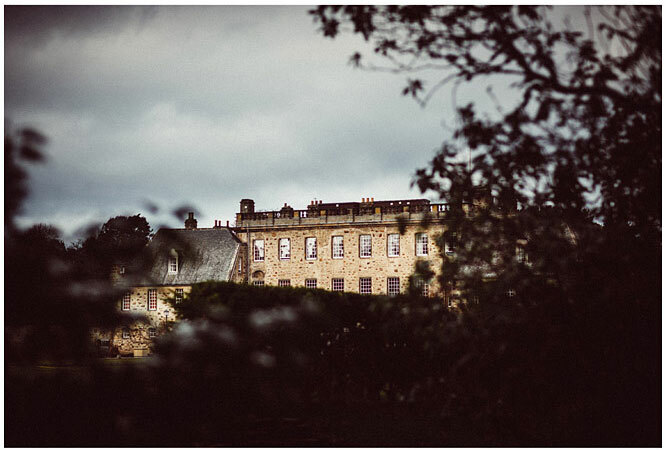 The school is set within a beautiful 200-acre wooded campus on the Moray Coast just 8 miles north of Elgin and it is here that Chris has happy memories of boarding with not only his four brothers but also both his best men, James and Justin. I was a little bit apprehensive of how the weather would pan out for photography this weekend as it can be extremely changeable in Scotland at the best of times but as spring has not really sprung here yet I knew it was likely to be unpredictable. 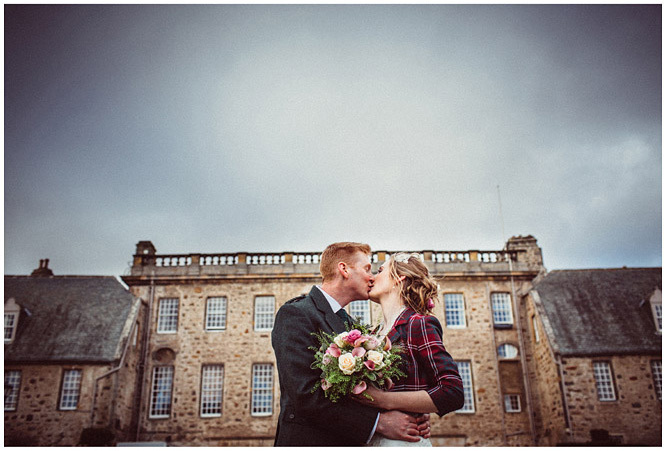 As it was, the rain luckily stopped before I arrived and although we had some pretty wild wind outside the Duffus Church before the ceremony, it was a little more sheltered nearer the school for photographs outside, albeit quite cold. The wedding was very much a family affair with lots of children and many guests traveling from far and wide. Steph’s father who is a minister, performed a lovely ceremony as a guest at the local Duffus Church before everyone headed back to the school for drinks and photographs. The meal was catered and served by Good Highland Food in the near by refectory building which lies adjacent to the main schoolhouse where the evening ceilidh was held. This was a wedding full of warmth on what was a cold and windy spring day. Here are some of my favorite shots.